The Card Grotto: Happy Birthday Christine! I started off by stamping the images from the Botanical Love stamp set with Versamark ink on to some TH Watercolor Cardstock. I then applied WOW! Bright White embossing powder to these and heat set. The images were coloured using Zig Clean Color Real Brush Pens, water and a paint brush. Once dried, the panel was added to a white A2 card base. The sentiment, from the Make A Wish set, was stamped with Versamark on to a piece of black cardstock and heat with the same embossing powder. This was added to the card with foam tape. To finish off, I added a few enamel dots and some clear WOS to the flowers. Here is Christine's original card for you to compare. I loved the design as soon as I saw it. I loved the artsy watecrcolour, the colours and the elegance of it. I especially liked the pop of black on the sentiment piece. 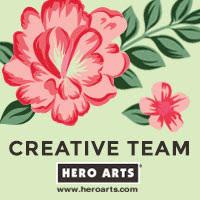 For my card, I kept the original design because I loved it so much, however, the overall design of mine is more on the clean and simple side (which I cannot help but doing!). The colours I used were a lot brighter and I think this makes it more CAS too. I hope Christine likes it though! ZIG CLEAN COLOR REAL BRUSH PENS: Large Flowers: Cobalt Blue 31, Blue 30, Turquoise Green 42, Light Green 41. Small Flowers: Yellow 50, Pink 25. Orange Flower: Yellow 50, Orange 70. Leaves: Light Green 41, Pale Green 45. Outside Shadow: Light Blue 36. If you are following the hop, you should have arrived here from the amazing Justine, the next stop on the hop is the super talented Terhi. Thank you so much for visiting me today. I hope you have a great day! Absolutely gorgeous!!! Love this card! Wow!! Gorgeous card!! Love the colors and the soft watercolor look!!! Such a great card love all the flowers and the great coloring. This is so beautifully coloured.. I love it. THIS. IS. STUNNING!!! Michelle, you rocked this CASE!!! Wow.. both cards are gorgeous! So lovely!! So very beautiful colours Michelle!!! 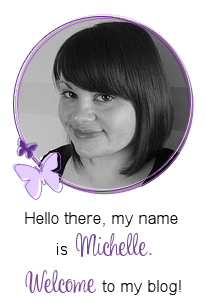 Totally gorgeous Michelle. Would be hard pressed to pick a favourite between the two cards thats for sure. What a totally beautiful card! The colors are so fabulous! 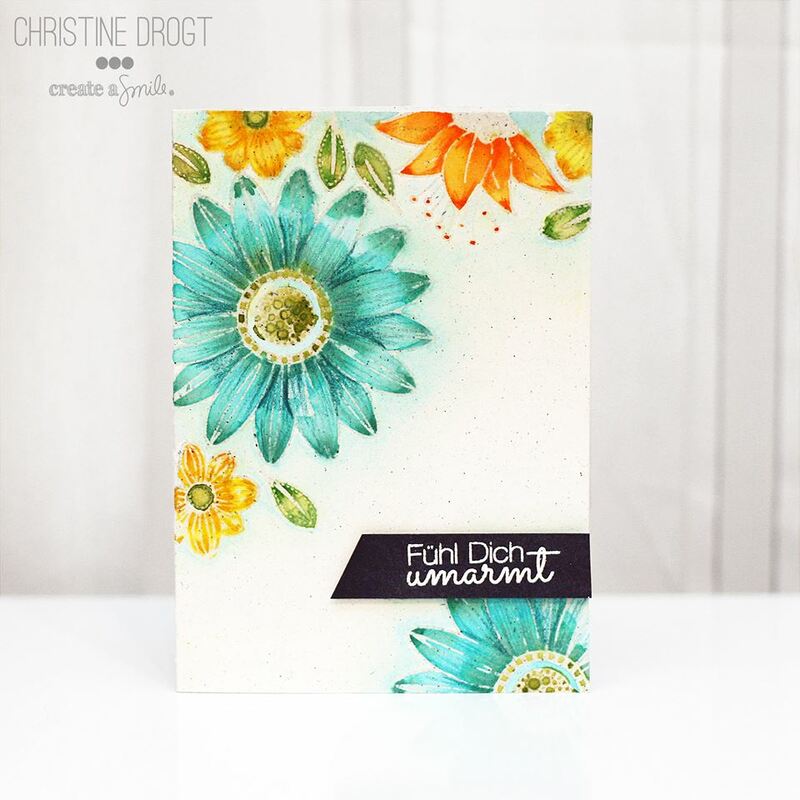 Thank you so much that you took part in the blog hop! 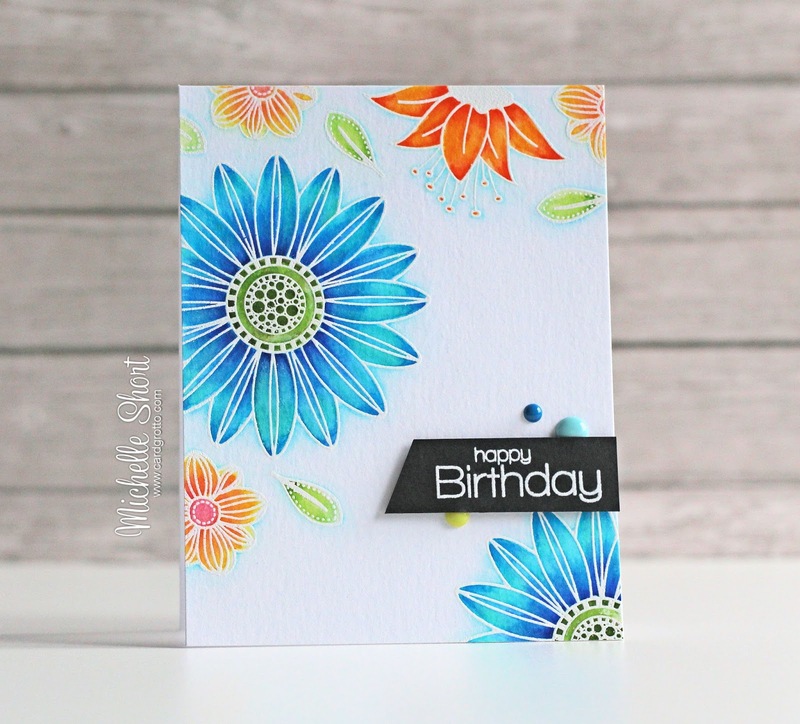 Great colours Michelle, I love the look of the Brush Pens with white embossing! Gorgeous card, Michelle! 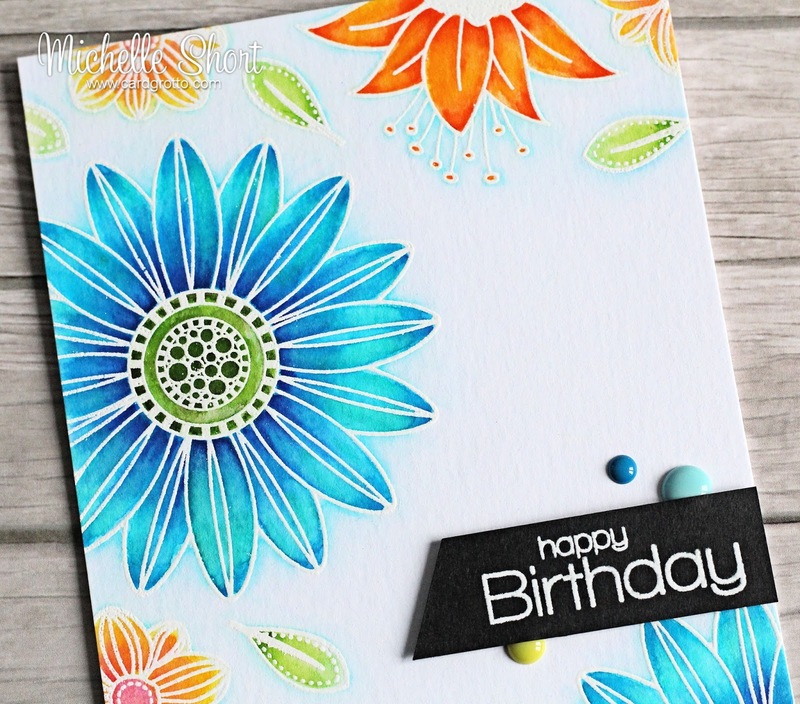 Beautiful coloring with your Zig markers and a fab take on Christine's card...Love it! thank you, thank you, thank you! When I got your card in the mail (I did!) I didn't even realise it was a CASE of my card - lol! I just thought - woooow, those colors! And showed Michael and told him you make the most adorable cards ever. Yours is bright and cheerful and I actually love it more than mine, haha! What a fabulous thing I found you on the internet when I was looking for an amazing artist - you are! And you're such a sweet sweet person!